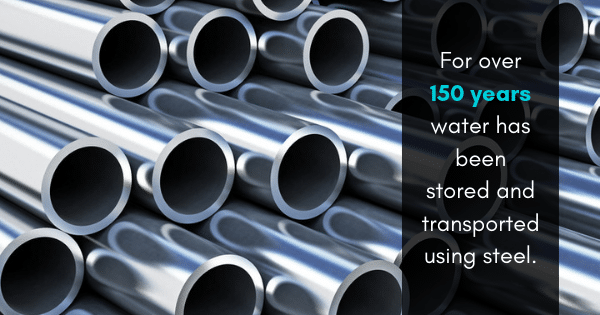 It is a fact, that for over 150 years water has been stored and transported using steel. Naturally, there has been much progress and many changes made in the methods that steel is used. Let’s look at four ways that steel is used to heat and cool a pressure vessel. The dimple jacket form of insulation is a tank cooling jacket that takes stainless steel and welds it directly to the pressure vessel. The jacket has punched areas of dimpled stainless steel (called dimples) which assist with the heat or cooling transfer of the fluid. The dimple jacket heat transfer process or cooling process, can be used to heat or cool the contents of the pressure vessel or the storage tank. This type of heating and cooling jacket is bolted directly onto the vessel with clips. It is easy to use and very easy to replace. However, one drawback is that it is initially quite expensive to make. This is because it has to allow for nozzles to pass through the jacket and those cut-outs have to be built into the jacket design. These conventional jackets are custom made designs for heating and cooling a pressure vessel. One advantage is that they can accommodate cut-outs for nozzles. One disadvantage, however, is that jacket pressure causes a lot of external pressure on the inner vessel. This is an ingenious design for heating and cooling a pressure vessel. A flanged opening allows for insertion of a tube or pipe bundle heater. This is a very efficient form of heat transfer. Usually, it uses 2” or 3” pipe coils. It is also one of the most cost-effective types of designs for heating and cooling a pressure vessel. Pressure vessels are used to hold liquids or gasses at temperatures that are different from the ambient temperature. Stainless steel storage tanks, dimpled stainless steel jackets, a jacketed vessel, as well as a tank cooling jacket are all excellent methods of heating and cooling pressure vessels to help keep pressure vessels safe and effective.